ICRP, 2018. Ethical foundations of the system of radiological protection. ICRP Publication 138. Ann. ICRP 47(1). 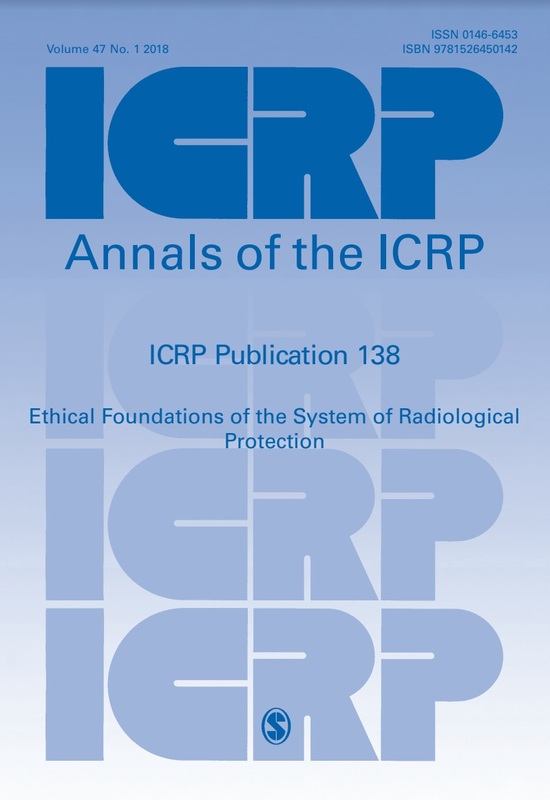 Abstract - Despite a longstanding recognition that radiological protection is not only a matter of science, but also ethics, ICRP publications have rarely addressed the ethical foundations of the system of radiological protection explicitly. The purpose of this publication is to describe how the Commission has relied on ethical values, either intentionally or indirectly, in developing the system of radiological protection with the objective of presenting a coherent view of how ethics is part of this system. In so doing, it helps to clarify the inherent value judgements made in achieving the aim of the radiological protection system as underlined by the Commission in Publication 103. Although primarily addressed to the radiological protection community, this publication is also intended to address authorities, operators, workers, medical professionals, patients, the public, and its representatives (e.g. NGOs) acting in the interest of the protection of people and the environment. This publication provides the key steps concerning the scientific, ethical, and practical evolutions of the system of radiological protection since the first ICRP publication in 1928. It then describes the four core ethical values underpinning the present system: beneficence/non-maleficence, prudence, justice, and dignity. It also discusses how these core ethical values relate to the principles of radiological protection, namely justification, optimisation, and limitation. The publication finally addresses key procedural values that are required for the practical implementation of the system, focusing on accountability, transparency, and inclusiveness. The Commission sees this publication as a founding document to be elaborated further in different situations and circumstances.